Half Day includes 1 activity and lunch - $18. Half Day includes 1 activity and lunch - $20. 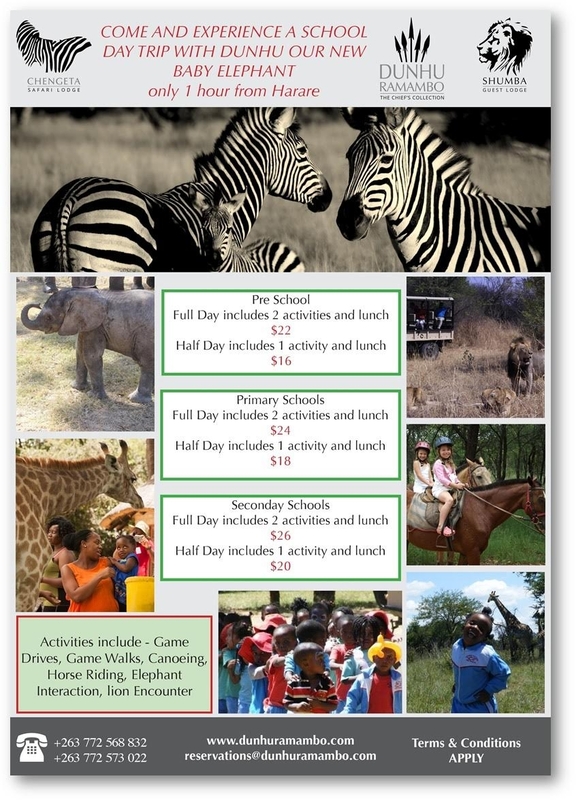 Activities includes- game drives, game walks, canoeing, horse ridings,elephant interaction and lion encounter.